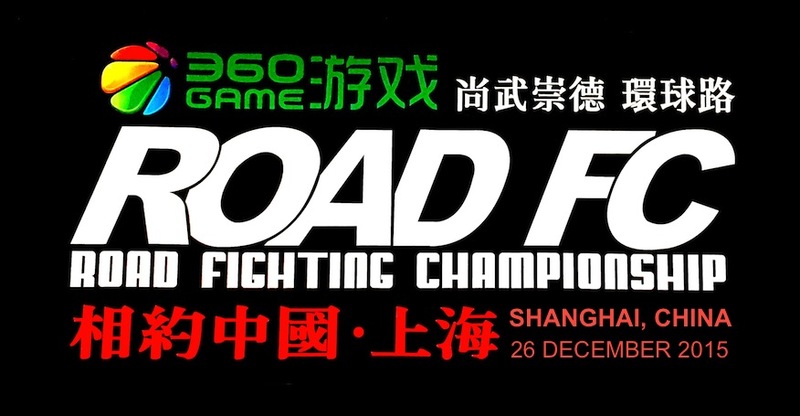 ROAD Fighting Championship announces the Official Results for Xiaomi ROAD FC 046 which took place on March 10, 2018 in the Jangchung Arena in Seoul, South Korea. In the main event, the battle for the Contender to face Featherweight Champion Choi Mu-Gyeom, Lee Jeong-Yeong sealed the deal against Kim Se-Yeong in their second meeting. From the onset, Lee had Kim on the back foot with hard punches, one of which finally slammed him sprawling on his rear, and the ref had to pull Lee off to stop the bout in the first round. Lee Jeong-Yeong earns the right to challenge for ROAD FC Featherweight Champion Choi Mu-Gyeom's belt! Hong Young-Ki knew he could almost coast against Eom Tae-Woong, who was penalized 10 points per round for missing weight by 7kgs. However, rookie Eom proved very durable until Hong was finally able to get him to the canvas where he softened him up for a 6-seconds-to-the-bell armbar. Park Hyung-Geun and Moon Jin-Hyuk put on a barnburner through two rounds with uncountable punches, slapping kicks, and grinding cage work, and the scorecards came out with a 1-1-Draw. At openweight, Heo Jae-Hyeok was pummeled and slammed to the canvas by “Yakuza” Kim Jae-Hun, but when Kim went for an armbar, Heo escaped and reversed the position, knocking out Kim to the roar of a stunned crowd. Opening up Part 2 , Alatengheili waited out the long, hard kicks and punches of the rangy Jang Ik-Hwan to time an absolutely perfect right that dropped him back, stunned, to the canvas. There, Alateng jumped in and pounded out Jang for the first round TKO. 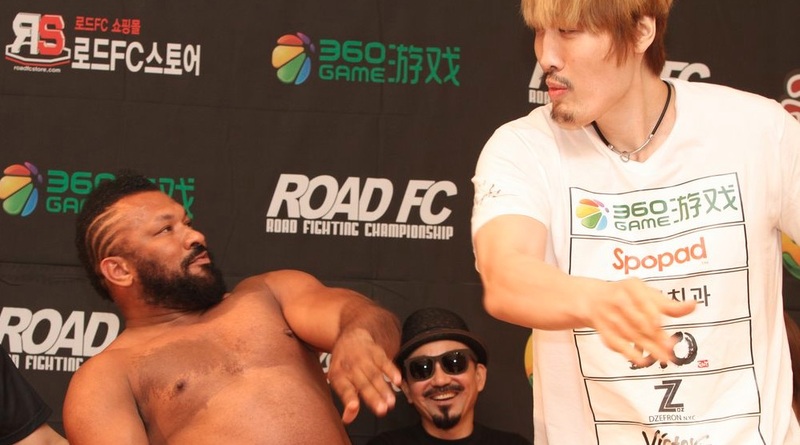 On Part 1, Hwang In-Su stayed undefeated with a fourth 1st round TKO by assaulting Kim Nae-Chul so relentlessly that the ref jumped in while he was still standing, at under a minute. Hwang sealed his status as THE welterweight rookie to watch. 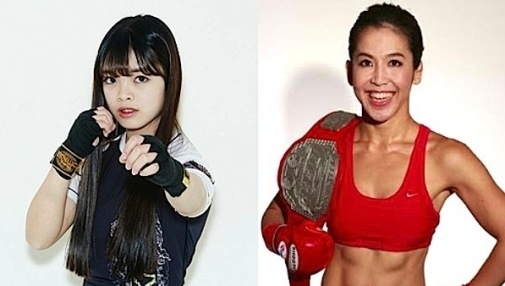 Ma Anding and Hamada Junpei delivered a brutal openweight war for three rounds, with Ma's punches landing in the early rounds, and relentless trips to end it. Park Hae-Jin did his very best to put Cho Byeong-Oak on his back and finish him with a submission, and even after a yellow card for two low blows, he had done enough work and damage to earn the win. Min Kyeong-Chul knew he was facing a tough striker in Huang Zhenyue so he went to the ground and scored a win by his points being dominant there. In the opening fight of the night, La In-Jae ran a smart and effective plan against rookie Lim Dong-Hwan with shoots and position control to earn the Unanimous Decision. New Wave MMA ROAD FC is the stage where legends shine, rookies thrill, and epic battles are waged that determine the future of MMA. 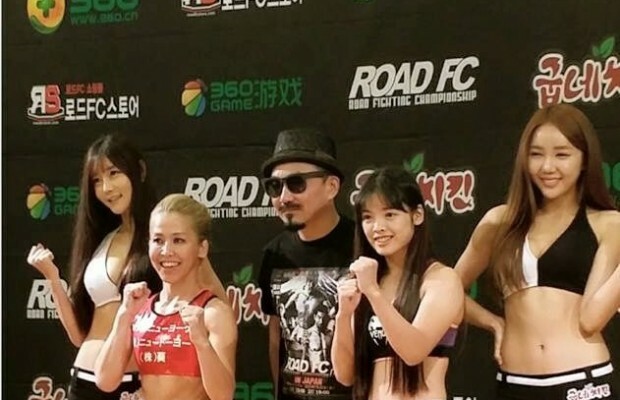 From the pageantry of the grand entrance to the final crunch of the KO, ROAD FC showcases the very best of Mixed Martial Arts sports and entertainment. As we say in Korea, "Fighting!" Do you know that a 32-2 fighter fought a 16 year old debutant recently?